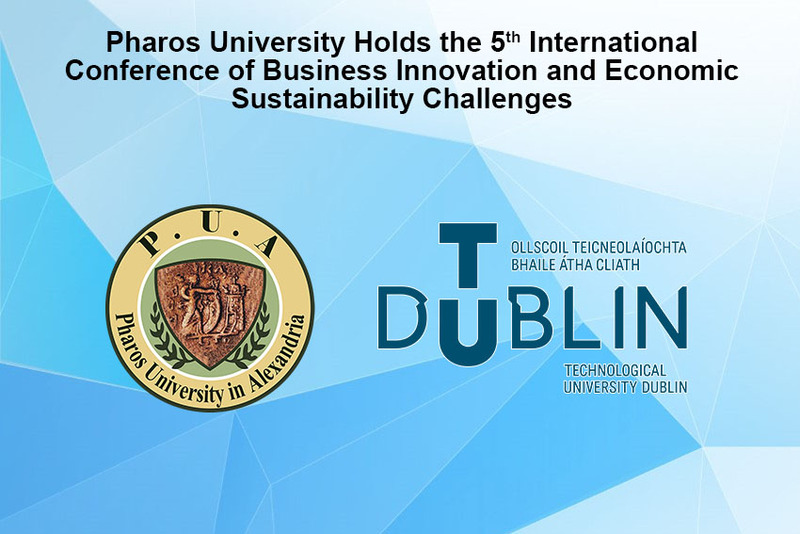 The faculty of Financial and Administrative Sciences at Pharos University, in collaboration with the TU Dublin, holds the fifth international conference of Business Innovation and Economic Sustainability Challenges on Wednesday, 17 April, 2019 in PUA Conference Hall. This was held under the auspices of Prof. Mahmoud Mohy El Din, the President of Pharos University and Prof. Tarek Taha, the Dean of the faculty of Financial and Administrative Sciences. 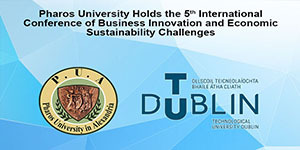 Faculty members will attend the conference, along with teaching assistants who will present a considerable number of scientific researches in the conference. The German University in Cairo. The Faculty of Economics and Political Science- Cairo University. The Arab Academy for Science and Technology. Alexandria Higher Institute of Engineering and Technology.